Frédéric holds an engineering Master’s from Mines ParisTech. 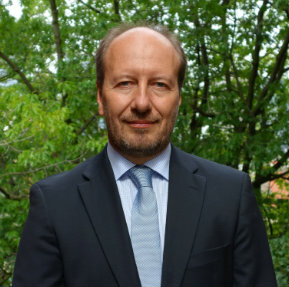 Frédéric has 24 years of experience working for industrial gas company Air Liquide, covering the entire gas supply chain, with a special focus on hydrogen, and its energy and transport applications. His responsibilities covered operations, technology development, management of regulatory aspects and demonstration / dissemination of hydrogen energy technologies. From 2002, he actively contributed to the development of a hydrogen economy as a recognized expert, taking a leading role in the establishment of global standards and policy frameworks for the economy hydrogen. With this wide and profound experience in the field of hydrogen, Frédéric has developed a comprehensive understanding of hydrogen operations, supply chain and regulation which he puts to Hinicio’s customers’ service. Frédéric is based in Paris, France and speaks fluent French, English, Spanish and Swedish.